View Cart “Henry Humming” has been added to your cart. SKU: BD70983. Categories: Biography, Childrens. 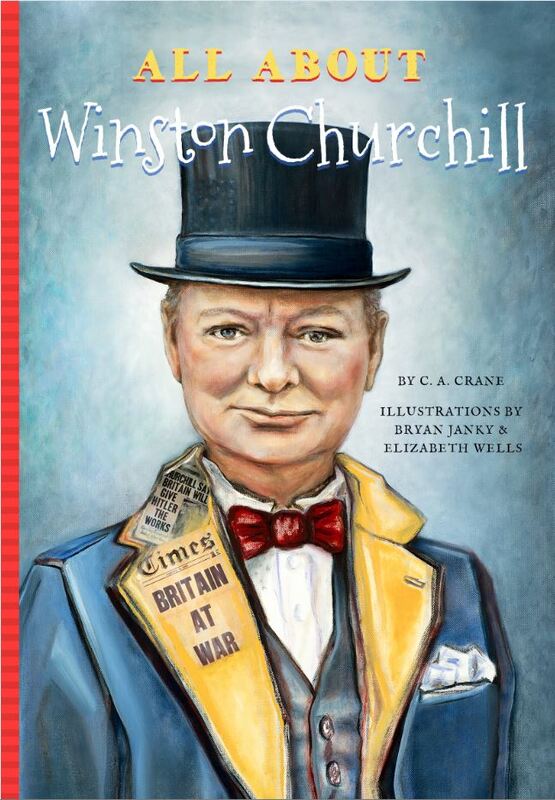 Tags: children's book, politics, war hero, Winston Churchill, World War II. All About Winston Churchill isn’t just about his famous grin, but goes into details about what he did and how he affected the world. Winston Churchill is considered one of the greatest men of the twentieth century. He was a British statesman, author, painter, and an inspiring speaker. Born into an aristocratic British family with an American mother, he considered the United States his second home. Winston was not afraid to take bold actions, which often got him in big trouble. But he learned from his mistakes and went on to become one of the greatest wartime leaders of the twentieth century. At a young age, he was an army officer, and a celebrated war correspondent. For most of his long life, he served in various political positions. His most famous role was as Prime Minister. Winston was a fighter. He fought in World War I as a soldier and fought in Parliament as a politician. He was known for his defiant resolve against Nazi aggression and encouragement to the British population during dark periods of World War II. He led Britain through World War II against the Nazis and the expansion of Communism. He fought for freedom and is known worldwide for his great leadership, his speeches, and his clever sayings. He is still quoted today and remembered as a hero. C. A. Crane, Ph.D. is the author of the highly acclaimed historical nonfiction, Divided Lives: The Untold Stories of Jewish-Christian Women in Nazi Germany (St. Martin’s Press/Macmillan). She is Associate Professor of English at the University of Cincinnati, BAC. She has appeared on national radio and television programs, and is a sought after speaker. Among her many awards, she has received a J. William Fulbright Scholarship (full research grant to Germany), a Holocaust Education Foundation Summer Institute Fellowship, and a P.E.O. National Scholar’s Award. C.A. Crane resides in Cincinnati, Ohio.